High above the Kapalua coastline in Hawaii, on the island of Maui, sits The Plantation House Restaurant, a thoroughly modern blend of traditional plantation-style atmosphere, old-fashioned Hawaiian hospitality and the finest in island cuisine. 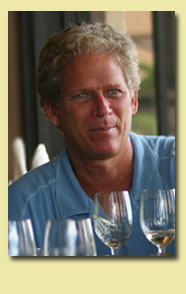 Since opening in the Kapalua Resort area in 1991, The Plantation House Restaurant has earned a top reputation among Maui's best restaurants for serving innovative cuisine in a picturesque setting. The restaurant is proof that fine dining can indeed blend well with Maui's casual island style. 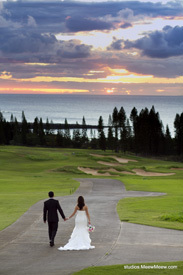 The restaurant's location takes advantage of the spectacular tropical vista from its unique vantage point on the Plantation Golf Course at Kapalua, with views of the north shore of Maui, the surrounding pineapple fields, and the islands of Lanai and Molokai. Each evening, diners are treated to the stunning palette of colors painted by Maui's breathtaking sunsets over the Pacific Ocean. Plantation House Tropical Invitation In keeping with its traditional plantation house atmosphere, teak wood tables and hand-carved chairs with a pineapple motif play off soft, tropical colors, creating a casually-elegant dining environment. As the centerpiece of the open, high-ceiling dining room, a double-sided fireplace greets diners in the evening with the invitation to relax in island-style comfort. It is more, though, than the inviting elegance that has made The Plantation House Restaurant a favorite dining spot with visitors and residents. The food adds a splash of the Mediterranean to the freshest local produce, herbs and seafood available. The result is a menu filled with inspired cuisine to be enjoyed in a magnificent setting. There's no better place to feel on top of the world with an ocean view.